I once saw a Facebook status which confused me: “I’m sooooo bored,” it read. I wondered–with so many great books and so much to explore–how could anyone be bored? Below is my service to any who might be tempted to boredom. Here is a list of some helpful and Biblically sound literature. I compiled this list (or one closely like it) for a student of mine who asked what he should read this summer. These are not recommended as “must -reads.” And they are not listed in any particular order. They are simply some of the books thinking Christians will want to read. I hope this list sparks your interest in learning more. The list covers hermeneutics, apologetics, theology, pastoral ministry, productivity, and even history. I tried to offer a variety of topics. Enjoy. Robert Stein, A Basic Guide to Interpreting the Bible: Playing by the Rules. Dr. Stein’s book is deceptively simple. It reads as a basic introduction to reading the Bible, but it is thoroughly informed by the most important trends in hermeneutics. Dr. Stein is a gifted writer, and this book is profoundly simple in offering a few rules for how to approach the Scriptures, taking into account authorial intent, genre, text criticism, etc. Matt has done a great job of sorting through the latest literature on business, productivity, and efficiency. He then interprets that literature through the lens of the gospel to produce a helpful resource for making the most of our time as Christians. 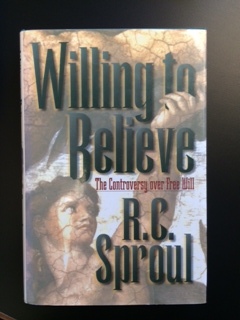 In this classic overview of the literature related to the age-old question of God’s sovereignty vs. Free will, R. C. Sproul offers a thorough introduction to the best arguments for and against “Free –will.” He traces the debate from the Scripture through Augustine, Calvin, Arminius, Edwards, to the present. It is amazing how succinctly and clearly he is able to cover so much ground. In this volume, R. C. Sproul—somewhat controversially—takes aim at some of the more stalwart evangelical Christians of our day. His reason is to protect the gospel from the errors of the Reformation. Even if he might be deemed too harsh in his criticism, Sproul does a great job in this book of highlighting the importance of Reformation distinctions related to the gospel. Written in the late 1980’s, this book by Carl Henry proved prescient indeed. He spoke of the “drift” in culture and offered a Christian response which proved to be prophetic. His remedies are still worth considering by those wishing to remain evangelical in a world which emphatically is not. Henry is too quickly being dismissed by evangelicals today. We need to keep reading the works of this brilliant stalwart of our Christian faith. For those who are pastors, or those wishing to be pastors, or even those just wishing to understand the basic nature of pastoral ministry, John Stott has written a simple little volume which offers a snapshot of the pastoral life. His style is simple and clear. This is a very helpful little volume. Don Whitney is a gifted writer and speaker. This book—which is about to be released in an updated anniversary edition—should be required reading for every Christian. He walks through the Christian disciplines in a simple, step-by-step way. His work is as encouraging as it is enjoyable to read. For anyone who has not read this work, you should start here. Dr. Whitney is a reliable guide for the Christian faith. For a change of pace, I offer this intriguing read. It isn’t a long book, and it is well written, but, I will warn you, it is a work of philosophy. As philosophy books go, this one is easy to read, but the ideas are profound. 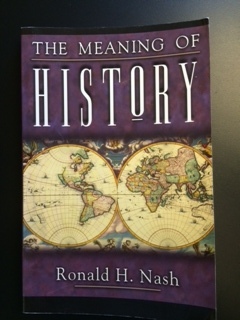 Dr. Nash demonstrates how important the Christian view of history is. We take this view for granted, but such a view of history is fading as our culture reinvents itself in a non-Christian way. Hopefully, you have already read Packer’s classic volume on the basic proposition that we are able to know God through His revelation. This book is foundational in many ways. It is, as I sad, an evangelical classic. The book has been in print for 4 decades and has sold millions of copies. 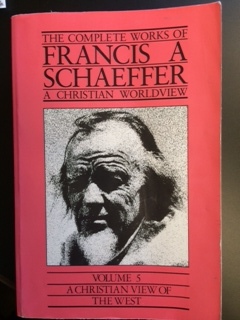 Like Carl Henry, so, too, Francis Schaeffer’s voice was absolutely prophetic. All the dangers about which he warned us have unfolded over the last 30 years. This book by Schaeffer has been a foundational work in apologetics, particularly from the presuppositional perspective. It is still very much worth reading because of the manner in which Schaeffer traces ideas through history which have brought us to our present state of affairs. Schaeffer is an outstanding writer. I hope at least some of these titles will interest you, as you continue to be transformed by the renewing of your mind.